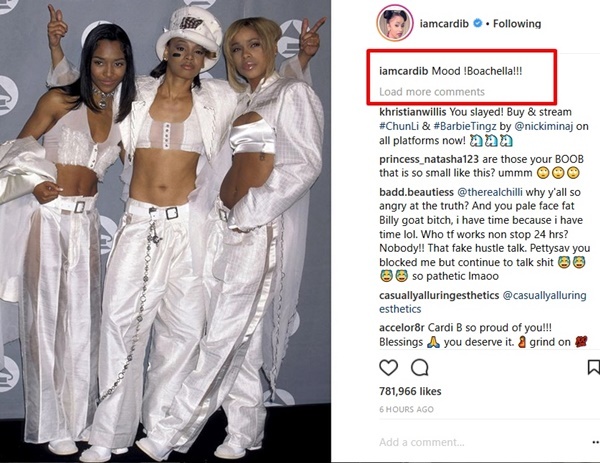 Cardi B took to her Instagram to drop a hint of what she’d be wearing during her stellar performance at Coachella and she didn’t disappoint. 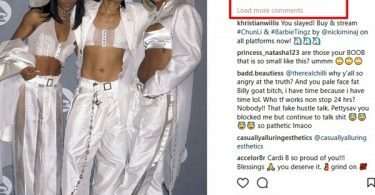 CelebNMusic247.com loved Cardi B live, she brought it, pregnant and all. 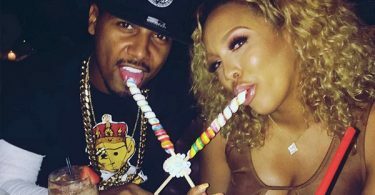 The former Love & Hip Hop star turned rapper was surrounded with dancers and women poll dancing. – It was a strippers paradise! 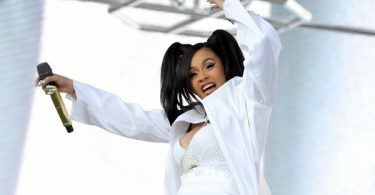 Cardi B‘s stage was an elaborate stage in an all-white get up as she breezed through highlights found on the project. 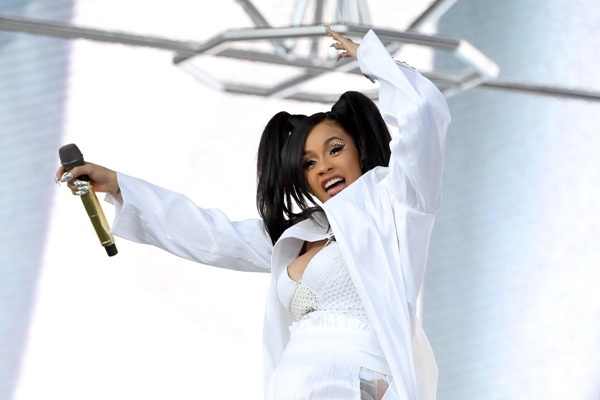 Coachella festivalgoers were also treated to a set that included further appearances from the many artists featured on her Invasion of Privacy debut album. Bartier Cardi gave you hit after hit from her debut album Invasion of Privacy which is topping the Billboard charts. Yesterday Cardi crushed Taylor Swifts Apple Music streaming record and today she gave an incredable performance at Coachella on the main stage. Pregnancy didn’t get in the way of Cardi twerking while singing the song “She Bad” with YG. That’s how I got pregnant. She kept her audience engaged with a visual show as well as women werking strip polls and dancers who surrounded the rapper. Her debut performance was one for the history books. 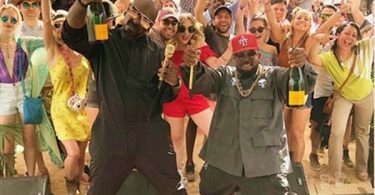 It was truly #Boachella on Sunday. Other great performance of the day came from French Montana, Odesza, Miguel, Portugal, The Man, and Migos.